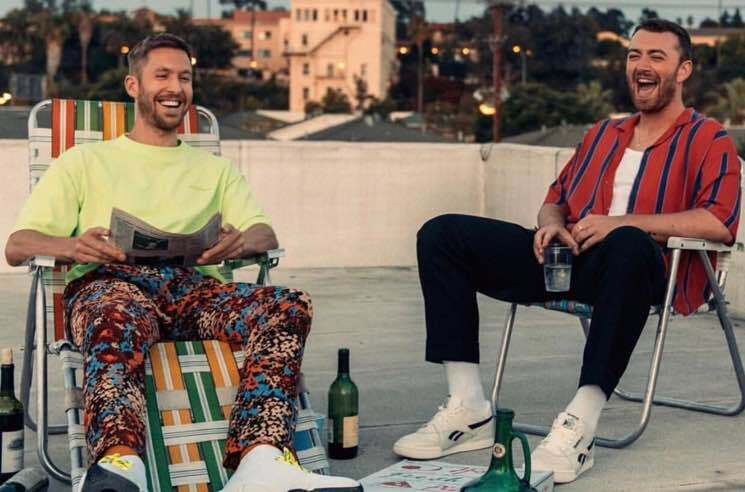 ​Calvin Harris and Sam Smith Join Forces for "Promises"
Still in contention for song of the summer with "One Kiss" featuring Dua Lipa, Calvin Harris has unveiled another high-profile collab. The EDM producer has teamed up with UK crooner Sam Smith for a song called "Promises." The duo previously teased the joint track by sharing a photo of them kicking back in lounge chairs and sipping cocktails. Now, you can actually hear their audio collaboration. Stream "Promises" below. ​Normani Gets Calvin Harris for "Checklist" and "Slow Down"
Sam Smith and Fifth Harmony's Normani Team Up for "Dancing with a Stranger"